The first time I tried to run away from home, I was ten. I took the essentials: my books, in a shoulder bag, and the family’s Siamese cat under one arm. I think I made it halfway to the train stop down the street before mom caught up with me. I no longer remember WHY I’d decided to run away from home, but it probably had something to do with either shoes (I liked work boots, mom didn’t) or the fact mom disapproved of how much I read. Anyway, in retrospect it’s a good thing I didn’t manage to make a getaway. It was, after all, unlikely anyone would give a ten year old a job, even a ten year old with her bag stuffed full of books that were much too grown up for her. And besides, I didn’t even have a change of underwear. Why am I telling you this story? Because in a way it’s time to run away from home, again, this time with better preparation and supplies than that ten year old had. I have recently, looking over the zombie career come to a conclusion that my husband’s oft-repeated, poliannish saying of “Everything happens for the best” might be right. Oh, not in everything. Horrible things happen in the world that cannot possibly be for the best. I love my darling, but he has a decided sunny outlook on the world. Probably good to balance my stormy weather, but not precisely right, just like mine isn’t most of the day. But seriously, in the case of my career, and even accounting for survivor’s bias, he has something to it. For instance, take the complete fiasco of my first three books, written as literary science ficiton, very well reviewed and a complete financial failure. Well, okay, not complete, because they did (all of them) earn out, and were taken out of print the next day. Somehow I suspect they weren’t meant to earn out. Why not? I don’t know. Publishing houses play games, of which you and your book are only a minor part. (Someday, eventually I’ll have a post called “lying with numbers.”) Perhaps it was only the fact they’d given me a small advance, and therefore I wasn’t supposed to do well. To be honest, there was no way I could do well, and it had nothing to do — even — with the tiny market for literary fantasy (which it is) but with the fact that my book came out, hard cover, by an unknown, with no discernible publicity (and for some reason without a “position” in their catalogue, more under “oh, there’s also this) a month after nine eleven. So the books failed, and the publishing house got someone willing/desperate to work under another name at beginners’ advances for eight books and five years. Now I have no clue why they have books slotted to fail. I just know they must have. The publicist who took up the first musketeer’s book as a side project, ran with it and made it a success was fired just before the third book was published with a cover so close to the first, it would fail. I am, however, fairly sure, that at beginner advances the books still made them a lot of money (no, I don’t buy how much it costs to publish a book. You see, I’ve done it myself now) and I suspect it was some accounting thing. Plus a pliable, desperate author they could use as long as they wanted. But if those books hadn’t failed, I’d have been “stuck” in literary fantasy, which, besides not paying much, I later found makes me depressed as h*ll in writing it. As it happened, that failure at that time — and not, say, two years later, which would have happened, if I’d got two other proposals ready in time, and hadn’t been seized with an immense and unavailing lassitude that prevented me from writing ANYTHING for three months — allowed me to jump sideways into Baen. In the end, this was good, too, because it made me try my space opera, which is so far my most successful venture. And the fact the statements for the furniture refinishing mysteries were wonky is good too. They couldn’t buy more because that would cause them to admit they were a success. And if they admitted so, they’d have to pay me more. (No, seriously wonky. The print run changed up and down according to need. Yes, down.) Sooner or later (turned out later) after years of paying me the absolute minimum to stay in their hands, they had to let go. Which is good because the reprints did really well, and soon there will be a fourth. Sorry it’s been delayed by a year of truly strange and stressful events, where I often didn’t have a half brain to give to writing. I mean to write more indie books this year. Well, to finish three of them which are almost written. For almost three years now I’ve been getting that feeling that it’s time to pivot my career to MOSTLY indie. There are things I’ll do for Baen, and of course they own the DST series for the foreseeable future, so if I want to finish it, it will have to be through them. My reasons are better defined than the ones for running away from home at 10, but nothing I particularly want to write about, for various reasons including friendship. And anyway, I’m not running away from home completely. At any rate the feeling goes well beyond anything happening or not happening in my career. It’s mostly akin to the feeling that sent me careening out of the political closet: as though some great cosmic force, some — pardon me for sounding loony — something bigger than myself is applying boot to fundament and saying “do it now, or we make you.” And the events do seem to be conspiring towards the “make you” which would leave me at a disadvantage and cost me relationships I’ve valued. It seems to be something in the nature of a … cycle of life (cue Lion King.) In the same way that the kids are growing, moving away, emotionally if not yet financially or physically (for one or the other) there is something pushing me to leave home, to tread the untried path, to set off into the sunset. I might visit home, come back for Sunday dinner, hang out with my siblings, etc. In fact, it will happen. But I need to move my center of gravity elsewhere. And like on that now rather distant day when I actually did move away from home, packing my bags, buying a ticket to NY, leaving behind everything I knew and all my contacts, and my innate notion of how things worked, I’m scared spitless. Sure, I’ve done one indie book. It did well. But it was years ago, and it might have been a fluke. To actually count on it for tuition (younger son) and food (older son) is…. ah… scary making. To not try to get any more contracts and instead to say “I’m going to strike out on my own. I’ll try to do one book for Baen a year, but that is not where I’m going to put my emotional investment” is …. probably insane. Certainly foolhardy. But there is that strong sense of “do it, or we’ll make you do it.” And the things I’m made to do usually come about through disasters. I have neither the time nor the financial room for disaster. I do have — metaphorically speaking — my muse under my arm and my assets — craft and mind and imagination, the columnist gig at PJMedia — in a bag. Of course we all know the tarot card for the fool is a person walking blindfolded off the edge of a cliff. And that freedom is just another word for nothing left to lose. And yet, I must try. The feeling is that strong. A year ago I told Cynthia Felice, it’s very sad that the indie opportunity came about now, when I’m in my fifties and tired. Yes, I am that much of a fool, since I think she’s ten or fifteen years older than I. She reminded me it would be much more difficult in ten or fifteen years. And she’s right. So I’d better try now. Freedom is beautiful and terrifying. But at some point one puts one’s work where one’s mouth is. It’s a new year (almost.) My resolution is to shift my center of gravity to indie. And if my health holds out, that will happen. Wish me luck. It might not help to wish it, but I have a feeling I’m going to need it. No time like the present. Good luck storming the castle. Well, given her description of her son, she’s already got a brute squad…..
By all means, go for it! Volens et Potens! Carpe Diem! Qapla’! Good Luck! It’s a great time to go indie! So you were married twice too! For the same reason as Ruby and me, I suspect–once for the government, then again for God and our friends and family. To be honest, we don’t even remember the date of the government wedding and celebrate the church wedding as the real one. Any good marriage is worth two anniversaries per year. Back when my Lady was working for a Beltway Bandit, she was showing our wedding albums to her co-workers (we had a Tudor English wedding, for reasons both esthetic and tactical) when one of them asked her when it had been. So she told them. Her co-workers were shocked that she didn’t “get” me over than one. Which is why WE are still married and THEY were mostly working on their second divorce when we last heard. Probably third by now. Dad sorta cheated. Their anniversary is also Mom’s birthday. Not that he needs that, he remembers almost everyone’s birthdays and often anniversaries. My wife cheated and set it to the same date as Maureen’s wedding in To Sail Beyond The Sunset. It worked, but not for the reason she thinks it did. The oddity of her making that choice, as well as the oddity that it worked out to be on a Saturday the year we were married, combined to make it memorable to me. Otherwise, I wouldn’t remember either date. Someone asked my aunt one time when her anniversary was. “The 5th of blah, blah, blah”. My uncle piped up from the other room, “I’m not sure what you were doing, but I got married on the 3rd.” Went and looked it up, it was on the 3rd. My hubby knows I’m bad with dates, so he forgives me if I mess it up. I remember our anniversary well though (it’s his birthdate I mess up in writing) but given when it falls in the work year, it’s rare we can celebrate it together on the day. ^_^ We just go for the nearest date to it. My parents did New Year’s Eve. Dad has never missed a year. Mom’s birthday he got a day early once . . . Ours is Dec. 22nd, somewhere in between Christmas concerts. Husband’s birthday, however, is today. I was in an online discussion where a woman said that she and her husband remember their anniversary about two months late. Except that as it happens that discussion happened on their anniversary. They went out to dinner to celebrate remembering. We wanted my brother, who had just graduated and was waiting to be called to his first church, to marry us but he wasn’t licensed to be a minister in Illinois (where her family lived.) So we went to a Justice of the Peace in Arlington, Virginia and rendered unto Ceasar. Then we drove to Illinois and got married in the eyes of God before friends and family. Sounds like it’s going to be a hard road to travel. Then again nothing in life worth doing well is easy. Good luck and we will be here cheering you on. It may be a hard road, but it will be her road, without having to clear gates by answering silly questions abut the air-speed velocity of an unladen swallow. I thought a slide rule was what Progressives apply to moral behaviour? Or seeing red when somebody mocks the Constitution? well, I like red as a color. And secondarily yellow. Both help combat natural depressive tendency. I like red states fine. We should have more of them. BUT the other type of reds make me see red. Red is an excellent color, and its association with communism is… not an injustice on par with a lot of the rest of what that philosophy leads to, but nonetheless annoying. On running away – my dad ran away, hitchhiked 200 miles, and got a job changing tires. He was 12. Who knows, maybe someone would have hired a 10 year old. Sigh. I had ambitions of running away, and living in a hollow tree in the wilderness, like the kid in “My Side of the Mountain”. Alas, the food-scrounging possibilities in Southern Cal were, alas, rather minimal, and my chances of catching and taming a falcon were also minimal. And my parents were OK, really – although Mom was brutal about finding chores for me, if she saw me sitting in the living room, reading a book. I soon learned to go perch in one of the olive trees, if I didn’t want to be bothered. I loved My Side of the Mountain as a kid. I had about 900 acres of woods to play in and spent half my childhood pretending I could support myself. My hidey hole was the upper level of the barn. Could see everything, but not be seen. Another fan here. Nebraska (the part of it where I lived at least) had enough large, hollow trees that I could seriously dream about the rest of it. Given how taken I am with Mainstream anything I suspect that my preferred genre is (summed up as), “oh, there’s also this.” Somehow big crowds remind me of Newsreels from mid-late 1930’s Germany… I suspect the High School folks might have preferred I’d not seen Why We Fight: Prelude to War until well after graduation… too damn bad. Saw it early, looked around, and decided, It Could Happen Here. Especially at every damned “pep assembly.” No wonder that for some time my best friends were silicon… or ink & paper. our class motto was unofficially “Who Cares?” and it almost made the list for official voting, but the teacher in charge nixed it. How the heck did I and several of the ‘heads get roped to be representatives, I can’t recall. Your teacher objected to a class motto assuring everybody that the World Health Organization Cares? What a despicable human being. Yes. WHO did manage, once upon a time, do some good. They had this project to rid people of the smallpox problem. now many in the WHO would see it return to placate the anti-vaxxers. Well, and rid the planet of some pesky nuisances. Ah, but we all know what WHO cares about. You know we’ll all buy your indie works, Sarah. And if it’ll help, I can put you in touch with Rob Kroese, Jamie McFarlane, Nick Cole, and Renee Pawlish, who are all doing really well as indie authors. They might have good promotional (and otherwise) tips, and might also be interested in promoting your books themselves (they all seem pretty good at helping other authors). Tip #1: Let people know when a book comes out. 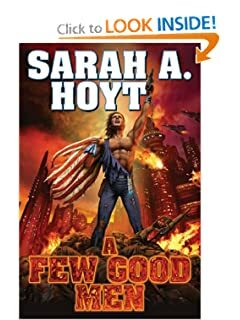 I think there have been at least a couple instances where a book or anthology containing Sarah’s work has been released and not even mentioned here… only found out after someone else mentioned them on Instapundit. appoint someone your story announcer. T’would help were I ever told of such things before tripping over them. Turkey trots to water. Bon chance. This blog, twitter, instapundit presence, etc., … I think gives you far better exposure to your existing and potential reading public than is available via a publishing house today. 10-15 year ago I’d be checking out Baen’s site at least monthly for new reads. Reading your posting I realize I haven’t clicked open Baen for at least 2 or 3 years. I still have great respect for their house & am still buying their publications but due to the new indie world their not my main goto shop. So! Am looking forward to a more independent Sarah! Now see here, we, who read… unless the publisher really and truly P***** us off (Tor, looking at you here. Don’t bother. You dug your grave, now lie in it. Forever. ), don’t give a D*** about the publisher. The author? Yes. The stories? Yes. The publisher? 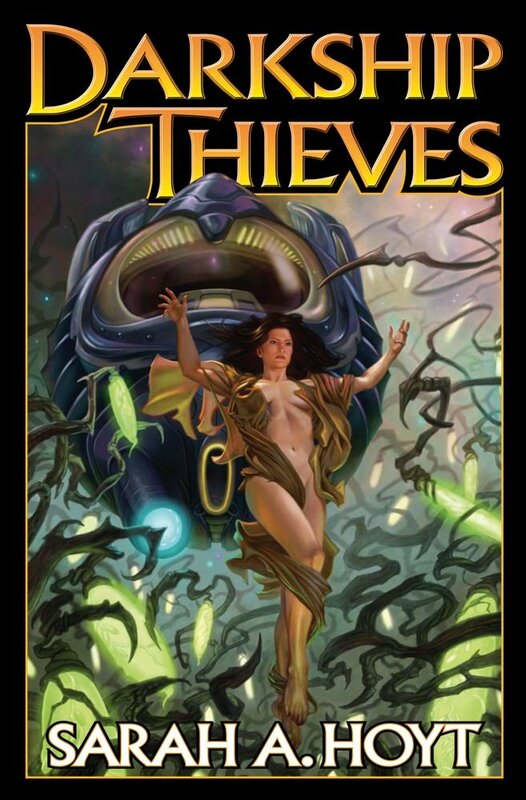 Alright, Baen is seen as “worth at least a look” and the rest… meh. The thing to understand is that with trad pub, and Baen is unfortunately still a part of that swamp, a gatekeeper is imposed slap down in between the author and the reader. Someone else is deciding what you should and more important what you CAN be allowed to read. And before indie that’s just how it was. So you either give a good Ghod D*** about the publisher or surrender control over what you are permitted to read to your betters. The alternative, and thank the Lord that at least there now is a viable option, is to cast your net into the sea of Amazon in hopes of finding works of value amongst the dross and jetsam. As for Baen, they’re better than the big five and sometimes that is significant and other times faint praise indeed. Publishing in general has the same cavalier attitude towards bookkeeping and author rights that the music industry had years back, and we all should remember how well that all worked out. A publishing house is a brand, nothing more. It promises its readership a particular style of story, just as Boys Life promises a different story than you’ll find in American Girl, or as Astounding meant different stories than in Unknown. The only reason to select a particular publisher, Baen included, is because its brand helps your story find its intended market. At present, Indie seems to offer better market reach than any publisher provided you are willing to take on (or oversee) such chores as copy-editing, covers and marketing. Can you d those better than the pros? is not the question; are you likely to do it materially worse than they do? is what you need to decide. With Baen it tends to come down to “Can this make us enough money to make it worth our while. But, there’s some things they might think are not, but may make the author money via Indy. There was a time, once, when Del Ray was a go to for me. That pretty much ended when the last Robert Frezza came out. Last time I tried a new one – cold – from them it looked like a promising time-travel/military set in WWII, and the author screwed up the WWII military stuff so badly in the first couple of chapters that I literally couldn’t finish the thing. I mean, yes, the US military was racist circa WWII. In specific ways, that didn’t include there being no black officers. Do. Some. MINIMAL. Research, damnit! I’m not an expert on military history. If I’M catching you out in the first quarter of the book, on stuff that can be checked with ONE google search, you AND your editor need to be fired. Not quite the same, but I recall once hearing a(n online) DJ saying they would do an 80’s* set. And I (who ignored most of the 1970’s as annoying background noise) pegged the FIRST tune as being from 1973. A ton of the 79 releases didn’t really hit until 80. When talking about pop culture decades, they very seldom really sync with actual decades. The ‘50’s start just a little after the end of the War (so 47-48) and stretch until the Beatles hit (‘64). So called ‘early ‘60’s’ can be anywhere from 1959 to 1967, and ‘The Sixties’ is anywhere from 1964 through Kent State (1972).and so on, and on. How about his (as far as I know) first short story? Ah, the author neglected the setting; the hapless reader is never informed that it all takes place in an alternate universe. “My story is set in the alternate universe known in the Interdimension Guidebook as Stupid Mistakes Universe” should be a labeling requirement. You know, that would be a wonderful setting for an anthology of humor short stories playing off the theme. No using real world events either, like, oh, General Custer’s little miscalculation of numbers and firepower. Baen has free stories sometimes also many links. Also if you want a list of books in a series they’re good. I don’t know if you include your Shakespeare books under your literary fantasies, but Ill Met by Moonlight cheered me up immensely. I had just finished Dhalgren on recommendation by another writer, and it was a very depressing read. Moonlight was a very refreshing antidote. yes. I do. And I don’t say they’re bad books (they’re not) or that I dislike them (I don’t) I say that being confined to writing ONLY literary fantasy would make me suicidal. The Bell Jar would probably seem cheerful after reading Dhalgren. I think that Dhalgren was the book that does not allow itself to be read. It also makes NO sense whatsoever. Oh, so “Porgs” are some Star Wars thing? I was wondering when the Besses would join them in meme-land. Yeah, yeah, I know: I’m Ancient. Yes, “Progs” are a bird-like animal living on the island where Luke Skywalker had been hiding. Mind you, many of the “Progs” were actually Earth sea-birds living on the real island where the movie was filming. The movie makers couldn’t get rid of them so they had the “film” of the scenes modified to replace the sea-birds with the “progs”. Yes, an island full of progs would have sunk under the weight of its own idiocy by then. That is if it didn’t topple over, first. I have an online aquaintance who is “porgifying” stuff and selling it on Etsy. Doing rather well, as she is between jobs and not in her normal panic. Besses….OH! Porgies and… Sam slow, too. Well, as i admitted, it is somewhat a dated thing now. You can do it, Sarah. And if not, well, you’ll always have Huns. Funniest story I’ve heard about running away was from my uncle JR. He was about 3 when he decided to run away from home, he got about as far as you. But, what was funny was that he packed. Teddy Bear, bottle of apple juice and a couple of pairs of clean undies but no shoes or jacket. Big changes are always scary. I suspect that is so we won’t make quite so many hasty decisions to make big changes — we will take the time to think things through. (Most of us, anyway.) Then, if it still looks like a risk worth taking, or something we really need to do no matter the risk, then we jump. But not without due consideration. I think you will do fine. On running away, I seem to make a habit of it. As I read your post, I was trying to figure out how many times I’ve done that, starting when I was three years old. That one was done with no preparation whatsoever, along with my almost-two-year-old brother (it was a joint decision, too — I distinctly remember discussing it with him). But in my defense, we weren’t actually planning to leave home forever, just go visit our grandparents who lived about a mile away. When they weren’t home, we decided to go to town (which was at the time still sixteen miles away by road) and see if we could find them there. We got another half mile before the neighbor lady Mom had asked to look for us caught up with us. We were maybe a little over-confident in thinking that we could have gotten all the way to town (and at that age didn’t really understand how far it was). 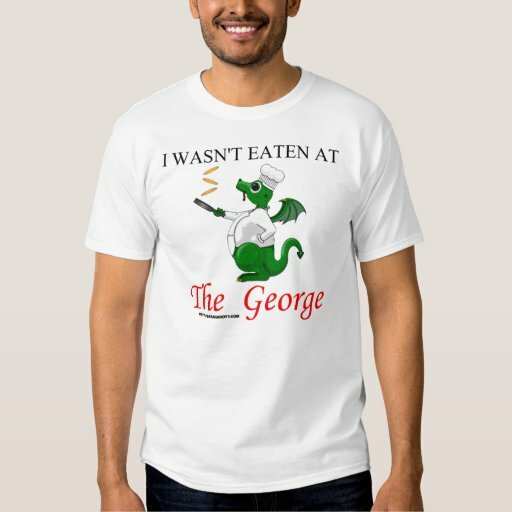 Ah, but you is dragon and dragons gots wings. Worst case, you GLIDE. Worst case unlikely. Go on. FLY! We’ll be standing oh, about 30 yards away from the naysayers… holding up sticks with marshmallows on them. Don’t dragons have a bit of trouble only toasting the marshmallows, and not incinerating them? Or are we supposed to wait until the naysayers have caught fire and toast our marshmallows over them? The difficulty there is the running and screaming and such. *sigh* It’s hard to toast your marshmallow when the toaster is fleeing at top speed. I figured that 30 yards would be as close to the target(s) as I’d care to get and the flames would extended enough pre- & post- actual engagement that the marshmallows would get well warmed at the least, with minimal danger to the holders thereof. I could be wrong on some part of that, but in this case, I would far prefer any error to lean toward a cold marshmallow. Only younger dragons, as they age they learn fine control over the fire. Ancient dragons can make monochrome pointillism paintings by searing a canvas pixel by pixel. It’s what gave people the idea to do art with gunpowder. Some do. Fluffy has discovered that if he doesn’t breathe the fire, his tummy does the job just splendidly for both marshmallows and BBQ. Simple truth common to any author is that trad pub, including Baen, will give you one, two at most, books a year. There was a time when that was sufficient for a decent living, or at least a second income to augment the day job or a spouse’s paycheck. But advances have shrunk drastically, as have midlist print runs, while more and more responsibility for promotion has been dumped on the backs of the authors. Sad truth, traditional publishers take the lion’s share of the profit of a book. They have to in order to sustain fancy offices and a bloated staff. That business model worked just so long as they had a death grip on distribution. That died with Amazon and e-books. The real cost of publishing a book today is for a cover, editing, and a small setup fee for POD if you even choose to go print, though that is really not required. And no one is going to tell you, stop, you’ve put out enough already this year. You don’t want to saturate the market. Instead you answer to your fan base which typically wants a new book every month or less rather than one or two a year. This. And it’s not going to get better. The tradpub business model is failing, though high fixed costs are not the only (nor even the largest) issue. After my first publishing company (specializing in technical nonfiction) imploded in 2002, my business partner and I got together to try it again. We cut fixed costs to the bone: We had no office, everybody worked at home, and I wrote the imprint’s first book for free, as a sort of venture investment. The whole damned company was literally on a cloud server somewhere. We had plenty of authors to draw on, and published some really good books. One title made it to #4 on the entire Amazon stack rank in the summer of 2004. It wasn’t enough. We made a little money, but the diabolical accounting model for print books works against small publishers. (This is hard to explain; please take it on faith for now.) Worse, retail shelf space was shrinking in the mid-oughts, and we could no longer get the laydowns (preorders) from the channel that we easily got in the ’90s. So rather than fail spectacularly, we gradually backed out of the business, making sure everybody got paid and all author rights got reverted. By 2009 it was over. The lesson was clear: What we had done in 1990 no longer worked in 2007, even with the best technology we could buy. Manhattan was elbowing us out, and Manhattan has big elbows. This is the time to go indie. Cynthia Felice is right: There is still some early adopters’ advantage, but that won’t last forever. 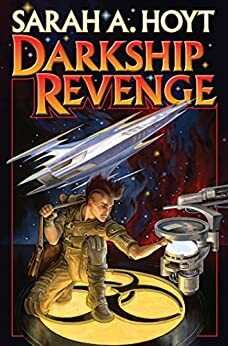 Think of Baen (and Darkship) as a fan acquisition system: They’ll discover your Baen books on Amazon or at a bookstore, and then they’ll go looking for your other works. You are approachable, available to your fans, and have a unique brand. Indie not only can work for you, it will. An aside: Do you have any idea, recalling our conversations at our nerd parties a couple of years ago where you encouraged me to stop chasing tradpub and go indie, just how surreal it is for me to be writing this? LOL. I’ve been advising that to promising writers for years. It’s just Baen is family. Running away from home hurts. Also, I’m chicken. But the time has come. Also I miss you. Next time you guys visit we HAVE to get together. I have recently, looking over the zombie career come to a conclusion that my husband’s oft-repeated, poliannish saying of “Everything happens for the best” might be right. Oh, not in everything. Horrible things happen in the world that cannot possibly be for the best. I love my darling, but he has a decided sunny outlook on the world. Everything happens for a reason. Not necessarily a GOOD reason. When it’s psychology or sociology…. oh how things tend to get ugly. Especially if you open that danged box. I’m pretty sure the reason is because the Norns think I’m entertaining. So said the katana blade while it got hammered. Is my favorite ending for that platitude. Is the English word brat, an unruly child – often a sibling, somehow related or derived from the Russian word брат, pronounced “brat” and meaning brother? Not according to Wiktionary, for whatever that’s worth. It’s an interesting coincidence then, and my daughter thinks it’s entirely appropriate when applied to her brothers. Apparently, “brat” comes from “slang” for “beggar’s child” which came from a word meaning “ragged clothing”. That sounds like a folk definition– which isn’t ALWAYS wrong, but is sometimes kinda…fanciful? Oxford dictionary online says it’s an article of clothing (ragged one, which kind of works with the beggar thing) or a term meaning dog or female dog. A brat is a cloak, in Gaelic. Well, there are those who would say bothers are suffocating; there’s a connection, a tenuous, reaching, connection. Etymology online agrees that it comes from “bratt” meaning cloak. It also says it meant “beggar’s child”, originally from usage for a “makeshift or ragged garment”. My ’70s Webster’s includes: Scottish: SCUM, as in Brat on the porridge. That’s after 1) rough cloak, 2) rough work gear. Brat for unruly child didn’t get an etymology, though it gave a handwave to the previous definitions. That edition isn’t good on origins. To me, ‘brat’ is a tasty sausage . . .
Could give an odd interpretation to ‘You are what you eat’. The witch in Hansel and Gretel always ate the worst brats first. With mustard and a roll. I think I have a Peter Schickle LP, The Wurst of P.D.Q. Bach*.. Old PDQ did do “Hansel and Gretel and Ted and Alice”. *Billed as the last and the least of Johann’s children. Makes for good driving music. Schickle did a NPR program called Schickle Mix in which he explained (for the untrained ear) many elements of classical music. I managed to capture a number of them, although by no means the majority, onto cassette tapes and they made superb driving accompaniment. After Dad died, Mom took in a lodger; seminary student/music major. He turned me on to Schickle and noted that the more one knew about music, the deeper the PDQ Bach humor went. I took a tiny bit of music theory and he seems to have been right. Alas, utter lack of talent/coordination/ability to keep on pitch limits my musicality to “Singin’ in the Loo”. Our high school choir teacher played the rendition of Bethoven’s 5th from PDQ Bach every year during the first week of class. “And it’s tutti all the way to the finale!” Yeah! carp sausage? Here kitties, got foods for yas! I am sure everything will work out for you. Baen is better than traditional publishing, and their good people. The challenge is lead times and they only have X amount of books they publish each year. As long as Amazon is paying the % for self publishing, it’s a no brainer to focus your efforts where you get the most reward. I am glad you will continue writing for Baen, and my best wishes for your health in the new year. As a reader, it’s hard to find authors I like to read. Your story The White Lady of Christmas was amazing world building. I hope the new year is great for you! Dark Fates is another one I want published ASAP! And here I was expecting a blog shutdown statement! er… no. Though I would like a couple more guest posts a week. I would but I have a severe writing phobia. I will send my guest post on fairy tales. Now if I found something to rant or ramble on about regularly… and have some minor bit of clue thereon… Hrmm.. what could I… nope.. nope.. been done and better… well, moo. This brings up an interesting question. I’m pretty sure there will be little or no dissension to the statement that Baen is at or at least among the top few of surviving publishing houses. But with the growth of indie publishing, can even Baen survive in the mid- to long-term? Other than copies for libraries, will the dead-tree book business remain profitable, or will it devolve into something of a boutique business? Frankly, there is demand for publishers. Just most publishers have so much junk larded on top that it’s not worth the price. Given that they have a solid fan base that at least looks at everything they put out (and they are making efforts to maintain that), I think they’ll survive. As Foxfier said, there are things that publishers can offer: More time to write by letting them handle a fair amount of the non-writing side of the bussiness. For now they seem to have the mindset to change with the market rather than fight it. That may change in the future, who knows. they also have the e-book thing already well established, and I prefer to buy my Baen ebooks stuff directly from them, as the files are then my files and not gonna be changed when someone gets froggy for no real reason. Hopefully they live long and prosper so I have those “back-ups” on their site as well as the numerous copies I have lurking across a half dozen or so drives. They can get books into the bookstores, especially the big chains, which is close enough to impossible for Indie as makes no difference. But the bookstores (especially the big chains) seem to be hanging on by threads themselves. How many of us have been in an actual bookstore more than once in the last year? I suspect those too will be in serious trouble in the near future if they aren’t already. Exactly — this only matters if you (potential) readers buy their books in Brick’N’Mortar. If you’ve targeted a readership that eschews B&M them stores ain’t no loss. The secret to fishing is to droop your lures where the fish are found. Figure out where Indie readers look for stories and drop your sinkers there. It’s always a loss to write off potential readers. It may cost more than its benefit, and so be a necessary loss, but it’s still a loss. I’ve been to an actual bookstore more than once. B&N recently (in a year?) stopped putting aside ‘new’ sections for each genera. Huh? I don’t get that. Book stores are good places to reach a group that may not be into ebooks yet. Or that don’t do much searching on Amazon. *Raises paw* Twice a month or so. Usually for coffee and to look at the new non-fiction to see if there’s something worth considering for work use. Pity it’s across the country from me. My town needs a bookstore desperately. I just bought 3 books from Baen, for my son, for Christmas. Heard about them from ANALOG’s review column. He gave me Joe Zieja’s latest, Communication Breakdown, which I found exceptionally funny. Can’t use electronics on Shabbat. So will always need dead tree books for that. Put Greebo in Dan’s laptop case. Self-publishing on Amazon allows you to publish as many books as you want as quickly as you want at the price you want. You sell direct to the consumer. Disintermediation Works! It might not be as hard as you think. 🙂 You do have quite a few followers. Followers? Or…stalkers. Oh, no, none of THEM. Followers; readers. Stalkers? I’d pity the fools . . .
*raises a glass* As you have so often told us, be not afraid. Or, okay, be afraid, Then scream and leap. This is indie publishing not a Kzin… Far better odds of survival in self publishing. One of my grandmothers used to watch magnum p.i. with us way back when; that’s when I first learned it is good idea to listen to your body because it is telling you important things. Magnum would talk about little voice in back of head that was niggling at him, my nan told my sister and me that we should always listen to that voice. Mrs Hoyt, if your brain is telling you to shift to independent publishing, that’s what you should do, ignore your anxieties. I seem to be broken. The little voice in the back of my head doesn’t know what the hell he’s talking about. When it’s this loud, it’s usually right. I just realized – my “voice in the back of my head” is actually the stupid drunk at the bar, who starts shouting inane drivel and gets louder as he gets drunker, so the loudest ones are actually the stupidest, for me. I dunno why. It’s just something that I have beaten my face on time and time again, trying to listen to people saying, “trust your gut”, “listen to the little voice in your head”, etc. If I don’t take time to figure out what to do logically, it’s almost always wrong. As in, about 85-90% of the time. I think I figured out why it’s so cool– you made the Sane Guy your main “voice” and booted Mr. Impulsive Jerk to the back. OK, so it isn’t as FAST as those of us who haven’t managed it– but you can trust your main thought process, and you know it. As if I am going to listen to the voice of somebody who thinks the back of my head is a good place to reside! Eh, even folks with horrible taste can be right… and man do I tend to regret it when I ignore the giant red flashing “OH CRUD” lights. oi, but the little voice is the one reminding you the drunk knows not of what he speaks, so . . . I have to figure out which voice to listen to……. I note Sarah didn’t say it wasn’t Tom Selleck’s voice telling her to go ahead and do something scary, like, say, tossing a Naval Intelligence career and USN Regular Commission to go be a PI, so she could be channeling Thomas Magnum. Dramatization of the voices in Sarah’s head as Big Publishing’s agent presses her to accept their terms. It was interesting to watch this, and the difference in audience reactions, first in London, then a week later in Glasgow. If she starts running around Denver in a Ferrari 308 GTS, we’ll know. It’s fun Sarah! C’mon in! Trust me, after a dozen more Indie releases you won’t hardly even have much of a panic attack pushing that last button to publish. OT – I guess we’ll never find out what comes after ‘Z’. Sue Grafton dead at 77. Ending on X– not bad. My mom really enjoys her books. I think Y came out earlier this year. Yep – her family said they are honoring her wishes for no ghostwriters, so for them the alphabet ends with “Y is for Yesterday”. oh no. But 77 is good run. that would give me another 22 years. May her family find peace, and her many fans remember her well. And may her stories will be read, and loved, for generations yet to come. Tom had turned into an industry of his own long before he died. Most of the stuff with his name on it tended to be “Tom Clancy’s XXXXX”, written by someone else entirely. Not bad for a guy who started as an indy writer back in the ’80s. Well, the Naval Institute Press isn’t really indy, and they were the only ones who would buy The Hunt for Red October. In spite of Clancy’s later spite about the details of that deal, it was the only deal he could get at that time, and the smash hit that Hunt became opened up the tradpub doors for him and set him and his heirs through to today. It always struck me as small of him to be angry about his big break. Like a lot of big name authors*, he seemed to be allergic to editing as time went on. I read a one or two of “Tom Clancy’s whatever” on long airplane trips, but preferred the real deal. Still, there’s three of his doorstops in my unread-might-never-be pile. Considering Sarah’s and others’ reports of what editors are prone to doing, it may simply be that [Big Name Author] has simply concluded it is better to be damned for one’s own flaws than take the blame for an editor’s. Which is not to imply that editors never improve a tale, but rather that an editor’s ability to improve a tale is not a publisher’s primary criterion in keeping an editor on the payroll. The Fool Tarot card is a card of potential, new beginnings and innocence. This Tarot card shows the highest potential for your life, reaching a state of renewal and new beginnings, where each day is an adventure and each moment is lived to the fullest. The Fool card represents the beginning of all creativity and a desire to accomplish new goals (or to, at least, start the process of working towards those goals). The Fool indicates that anything can happen and the opportunities are just waiting to be taken advantage of. And we’ll buy it. You know we will. I shouldn’t encourage you, because I love your Darkship series and want you to write more, but all your books are good. We’ll buy what you write, not because we like you, which we do, but for exactly the reason you surmise: we enjoy reading your books. 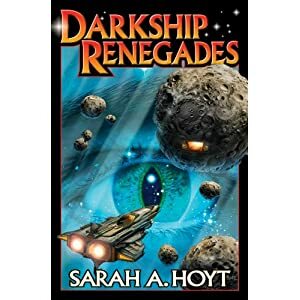 Only thing better than the Darkship series is your short stories. I have two short story collections assembled. Just no time to proof them/typeset them yet. Soon. I adore your short stories!! The hell with luck! What can we do to help? Give a yell if you need something… and we’ll be waiting to buy those books, so let us know! You’re not too old at all. I quit a high paying consulting career to become a writer. Doing the ‘smart’ thing isn’t always doing the ‘right’ thing. 😀 Gotcha beat. I’m 65, and just now taking on an expanded role in organizing and running the Tennessee Valley Interstellar Workshop (https://tviw.us). I’d love to be on the first starship we (the species) launch, but I plan to do everything I can to make sure it eventually does get launched. Considering my family, I figure I have another 25-30 years, at least 20 of which ought to be productive. I SHOULD have another 35 years of clear mind (and that was with virtually no medical care) but I have to stop getting ill. Agreed; stop getting sick, this instant! Thanks for the link. The next one is in 2019? I keep wondering if at 37 I’m too old for all of this and should just resign myself to being a housewife (I’m a terrible housewife). You guys are definitely encouraging. “Other stuff too” is a traditional house wife role. 😀 And it saves a LOT to have someone cooking, able to pick stuff up during quiet times of the day, etc. Two times in my life I decided to just say ‘screw it all’ and move someplace far away where I knew nobody. First time I did it, I moved 3000 miles. Several times in my life I decided to do something that everyone told me was ‘stupid’ or ‘dangerous’ (as a hobby/pastime/career, not a one off thing). I’m glad I did all of those things, because it ended up being interesting and fun. I have a reputation among a lot of my friends for being able to stand up and say that I’m going to do something that they all think is impossible, and doing it. Oh not overnight, usually it takes years of work. But I did it all the same. I’ve often told people that if life isn’t working for them where they are now, go someplace else. Or do something else. You’ve got nothing to lose by trying. Oh, and I’m a horrible housewife too. I keep my writing going with threats of “finish this scene or get out the vacuum” type threats. “Just put my 52nd title up” does that mean a new book? —Switches to Amazon— YES! Excuse me while I go read my new acquisition. Good luck to you, Mrs. Hoyt, and may the good Lord bless your career. I look forward to reading where this new road takes you. That’s how you get shot by the Men In Black. And, more power to ya, Sarah! I hope it is a great success for you. I enjoy your books, and will continue to look for them. And, don’t forget: sallying forth doesn’t mean you can’t retreat, or dig in partway to your objective. You don’t have to get there all at once, or without stops or detours along the way. “the third book was published with a cover so close to the first, it would fail.” – Do you really think bookcovers have anything to do with being purchased? That is an awfully shallow view, not what I expect of you, Sarah. It’s not as though covers have anything to do with contents; I’ve noticed that hardly any covers are accurate to the contents – I don’t think the artists even bother to read what they’re supposed to illustrate. I can think of an exception that *might* be what Sarah is referring to. If the cover on the third book looks like the cover on the first book, then potential buyers might glance at it on the shelf, think that they’re looking at the first book (because of the similar covers), and not look closely enough to realize that it’s actually a different book. So they’ll ignore it, thinking that they already own that book. Yep. And it was so close that when I got handed the book to sign I had to stop and READ the cover to make sure that it was actually the third book. Casual shoppers won’t do that. In Calabria by Peter S. Beagle — you put his name on it in large type, and then the unicorn, and then the title in smaller type — how many people assumed it was just a new edition of The Last Unicorn? Yes, they did, particularly in those days when it wsa in book stores. This is because mystery readers are binge-readers. So we used to go down the shelves going “oh, this is new.” If it looks almost exactly like a book I already have I’m going to skip over. Also shallow? Please. A cover it’s a billboard. Yes, the cover absolutely has to do with how many people even OPEN the book, particularly when the writer is unknown. While the cover is a billboard and should draw the customer to opening the book, it often does NOT accurately display the contents. Those two things are not mutually exclusive. It’s advertising. But it reminds me of a series (whose name and author I don’t recall at the moment) where the space captain is barely eeking out victories, and is actually doing the real captain thing (staying on his ship, on the bridge), but the cover of each book is him in armor, with a blaster or big gun, looking like a hero leading the charge. The third book, iirc, actually drops this into the story, mentioning that the holos of him back home show th sorts of things on the cover. He can only shake his head at that. It does NOT need to accurately advertise the contents in terms of hair color of the character, or such, because you don’t care before you read it, you won’t care after you read it. Those two things are not mutually exclusive. It’s advertising. It gets you to pick up the book. As I’ve come to learn, the purpose of the cover is to get someone to say “That looks interesting. I wonder…” and pick it up. After that, it’s up to the book to continue the “that’s interesting” so they buy it and read it. So long as the cover isn’t so “wrong” that a person picking up an interesting looking space opera is disgusted to find it’s actually a locked-room mystery in a contemporary setting, then it does the job (this is why “signaling genre” matters). If, however, you never get that “that looks interesting” then the book never gets picked up and its contents don’t get the chance to sell themselves. My first covers for Big Blue and The Kinmar fell into that trap. Things improved with the new ones (Thank you so much, Sarah). Those who mouth “Don’t judge a book by its cover” seem to have never given a moment’s consideration to how that particular cover got to that particular book in the first pace. I strongly suspect that in the marketing of novice authors the book’s cover is the single most important factor in its sales. 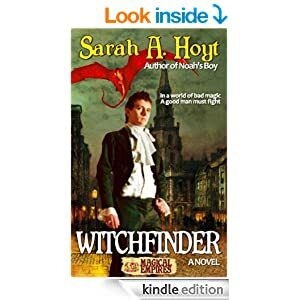 Even established authors may well find that a good cover makes a material difference in the book’s sales, and I daresay it is the rare author whose book covers have no effect at all on sales. There are a lot of books out there. Readers need a reason to pick up yours. The cover is the first thing they see. If the cover signals the kind of book they want to read they might just pick yours up out of the crowd. I think the saying predates the pretty printed advertising covers– pretty sure I’ve seen it in WWI dated stuff, so it would be more like not being that idiot who assumes the guy who walks into the BMW store wearing sweat-pants and a dirty t-shirt, checks out the cars and then walks up saying “I’ll buy this one” is a crazy street guy. Franklin, TN. older guy, patched bib overalls, mended plaid shirt, and beater boots, slight smell of manure, walked into a dealership and drove off with as much Pickup as possible at the time ($50,000 or so of late 90’s money for a Diesel Dually crew cab). Guy was perhaps the top breeder of Tennessee Walking horses and one of the richest people in the state. yeah there’s currently a new crop of ‘guys buying really nice cars with cash’ in TX over the last couple years because of new oil fields. and gas. fracking for the win. Gas is more in the money for mineral rights, if you were lucky enough to keep them. Bro-in-law gets a small royalty from gas but his rights are split a few ways. But, hey, money. Same with the former owner of my employer, they put a well across the street from the plant, and one near his former ranchette. He used the money from selling the company, ranchland (in Mansfield, it got subdivided right quick) tobuy a winery in Cali, and move out there. The royalties likely keep him there as the wine isn’t all that great they tell me. alas, it is a phrase that has rotated its meaning from when originated. I believe the point is that the covers were so similar that people would think they already had bought the third book, when it was in fact the first they had. From my personal experience, bookcovers have a huge effect on whether or not many people will purchase a book. he does it right then. btw, anymore Portals or Future Past books coming? Portals of Infinity #8 will (hopefully) come out in February or March. I plan on writing it after I finish #6 in the Valens Legacy series. DOFP is dead, I won’t be writing in that world again, unless the last book in the trilogy magically sells another 3 or 4 thousand copies. As of last month it (still) hadn’t sold a thousand copies. Total flop. I liked it as much as the others. Well, I shall await Portals 8 eagerly then. Me likes Nikki and Laria, and Evean tweaking Will’s tail figuratively and otherwise makes me laugh. Indeed – I am getting good sales for “Sunset and Steel Rails” – over all my other books in the months since I brought it out, and I can only conclude that it’s the cover… It must hit on all the curiosity points. No way, bubelah! I get terrible fin hair! Yesterday my husband and I celebrated our wedding anniversary and — as one does — went out to dinner at a small, quaint Italian restaurant in the neighborhood, a place we’ve been meaning to try since we moved here a year and a half ago. This was said in an absolutely serious way, and I still can’t keep from giggling when I think of it. As a writer, whose younger son is — or at least is supposed to be, I don’t breathe down his neck all the time — applying for engineering internships, I am familiar with the need to stand out. For most of us be it artists, job applicants, or what have you, the big problem is how to stand out in a packed field. Sure, you might be the best space opera writer in the world, but if people have no reason to go find your books, you’ll never reach enough of an audience to make a living. Or you might be the most competent engineer in your class, but if you don’t have the contacts to put a behind-the-scenes word in with someone hiring engineers, what you’re going to end up with is trying by sheer blind luck to hit upon the combination of keywords that will get you picked up for an interview. In either case, the odds are long. However, the advice to strap a shark fin to your head, however effective it might be at getting you attention, is terrible in the long run. You see, while you’ll certainly be looked at, if you have that shark fin sticking out of your hair, and you might even get a laugh if you announce yourself as “land shark” it is unlikely to get you a sale (I believe the people in the next table were salesmen of some sort) or a job. And even if it works for one sale and one job, it is unlikely to build a career. In art, and in writing — which I still refuse to consider as an art form, since, really, it’s more of an honest craft, like clothes making or throwing pots — gimmicks do sometimes work, or at least they work for a time. But even then, in the end, they have a way to blight your chances. I think “throwing pots” and “throwing ashtrays” are two different things, yes? Unless you want the local potter to “throw” you a hand made ashtray on his wheel. Little Sarah got lucky that she didn’t live in the Men in Black world, or the Portuguese equivalent of Agent J would have shot her. This is good. It means we’re going to be seeing new books from you more frequently.